I have an exciting new opportunity to tell you about! I recently met local photographer Robert Mitchell and he has graciously agreed to lead my guests on photography tours of the Boothbay Peninsula. Whether you are an experienced photographer, or just want to discover the best spots to take some nice shots to show everyone back at home, nothing compares to discovering (or re-discovering) a special place with a local guide. Robert has lived with his family on Southport Island and photographed the Boothbay region for over 40 years. He has worked for local newspapers and for commercial clients such as Swiss Air and published books of his landscape photography. He is a believer that photography—especially traditional film photography and the basic exercise of seeking and selecting scenes to capture—can teach us a great deal about our surroundings. Robert is admirer of Boothbay in all its seasons. He even compiled a book of photographs of the region entitled Winter. I have a copy at the cottage and I encourage you to take a look! Robert would be happy to guide you in any season. 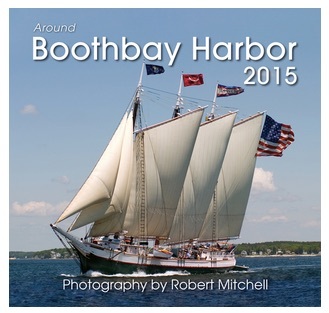 I encourage you to look at Robert’s website, blog and Facebook page and to order one of his beautiful Boothbay calendars! Please contact Robert directly at (207) 633-3136 (home) or info@mitchellphoto.com to inquire about organizing a photography tour during your stay or with any questions about how Robert might help you discover the region through a photographer’s eye. Prices will vary depending on the length of your session, group size and the season. Be sure to mention that you’ll be a guest of Abby’s Back Bay Cottage! New YMCA Membership!! » « Snow in Boothbay!